IT IS rare for Tottenham Hotspur, so often on the fringe of the elite clubs, to meet one of the big boys as favourites. But that will be the case this Sunday when the Lilywhites play host to Chelsea in round 14 of English Premier League 2015-16. 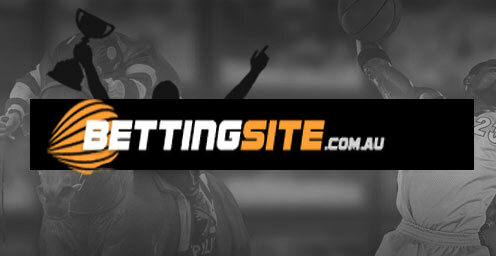 The match betting is especially tight for this one, with less than a dollar separating Spurs, the Blues and the draw at leading online bookmakers. But the home side’s favouritism is well deserved, as they have now gone 12 games unbeaten in the EPL (six wins, six draws). Their recent form in London derbies is worth noting, too, with four points coming from their dates with Arsenal (1-1) and West Ham United (4-1) on their last two starts. And let’s not forget the corresponding fixture last season, when Tottenham rallied from a goal down to smash the eventual 2014-15 Premier League champions 5-3 on New Year’s Day. The Spurs selectors obviously had one eye on the weekend when naming the squad for Thursday night’s UEFA Europa League clash with Qarabag, as Kyle Walker, Mousa Dembele and Danny Rose were all left at home. A lengthy away trip to Azerbaijan is certainly not ideal preparation in the opinion of Tottenham manager Mauricio Pochettino, who has made no attempt to hide his grievances with the EPL fixture list. When asked for his thoughts on the midday Sunday kickoff against Chelsea, Pochettino told the press: “I laugh, I only smile. “Again, it’s like the week we had three weeks ago when we played Monday night against Aston Villa, Thursday night against Anderlecht and Sunday at Arsenal. Maybe it’s worse, because you need to fly nearly six hours and then there is the decision about whether to come straight back or stay. “It’s very difficult because both decisions are bad. What will we do? Maybe we come straight back and give the players the day off on Friday. You never know, it might be difficult to fly from the airport. Maybe you need to wait two hours at the airport. 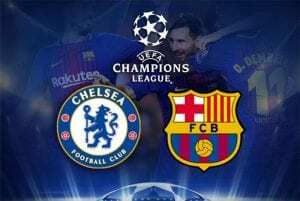 Chelsea will have an extra two days to recover from their UEFA Champions League clash in Israel, where they put one foot in the knockout rounds with a 4-0 win over Maccabi Tel-Aviv. It is only the second time this season the Pensioners have strung together consecutive wins, on the back of their 1-0 victory over fellow cellar-dwellers Norwich City last weekend. But the Champions League result didn’t come without a price, as Chelsea boss Jose Mourinho recently confirmed both John Terry and Ramires were serious doubts for the derby date at White Hart Lane. 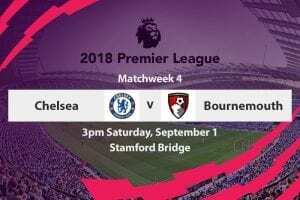 Nevertheless, club legend Didier Drogba believes the Blues can keep the momentum going as they look to bounce back from a shocking start which has garnered only 14 points in 13 Premier League games. “It’s been a difficult first part of the season but even if the season finishes like this they will still remain my team,” Drogba told the press. “Chelsea will remain a big club. It’s not just because you have a bad day that you are going to ruin what you did before. “In life you go through these kind of moments but you have to show that you have the character and ability to change this and come back stronger. Having picked up a rather needless booking in the win over West Ham, newly capped England midfielder Dele Alli sit out Chelsea’s visit through suspension. Ryan Mason is the likely replacement. Mousa Dembele, Kyle Walker and Danny Rose were all rested for the midweek journey to Baku, but they should all return to the starting lineup on Sunday. Argentine playmaker Erik Lamela remains in doubt with a leg injury, while Nabil Bentaleb, Nacer Chadli and Alex Pritchard are all sidelined with foot problems. Possible Spurs XI: Lloris; Walker, Alderweireld, Vertonghen, Rose; Dier, Mason; Son, Dembele, Eriksen; Kane. John Terry is a real chance to miss after hurting his ankle in Tel-Aviv, which could see Gary Cahill partner Kurt Zouma in the heart of defence. Ramires is also in doubt after picking up an injury in training, meaning either Oscar or Pedro will start on Chelsea’s attacking midfield line. Asmir Begovic will continue to deputise for the injured Thibaut Courtois in goal, while Radamel Falcao could make the matchday squad as he works his way back from a muscular injury. 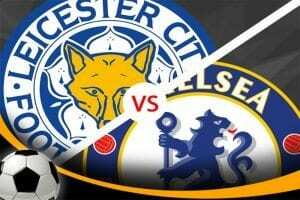 Possible Chelsea XI: Begovic; Ivanovic, Cahill, Zouma, Azpilicueta; Matic, Fabregas; Willian, Oscar, Hazard; Diego. 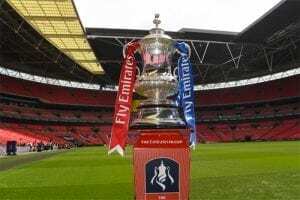 Although Tottenham are the form team in the competition, and despite Chelsea’s abhorrent record this season, this is a hard one to call – as is so often the case in derby games. Some say the Blues are generating momentum, but let’s not forget they only beat Norwich – one of the favourites for relegation – by the odd goal last weekend. Their Champions League result on Tuesday is a bit misleading, too, as Maccabi are the undisputed easy-beats of the group with zero points and a -14 goal difference from five games. Spurs, meanwhile, look very hard to beat right now, although it remains to be seen how much they will miss the drive and energy of the in-form Dele Alli in midfield. After a slow start to the season, Kane has now found the scoresheet eight times in his last five outings. The Spurs vice-captain will be used sparingly in Azerbaijan on Thursday, so he should be fairly fresh for the weekend. Returning to the starting XI after two months out with injury, Son showed plenty of enterprise against West Ham and played a pivotal part in Kyle Walker’s goal. The 23-year-old Korean will be eager to find the net himself as he looks to reestablish himself in Pochettino’s best side. The reigning PFA Player of the Year was back to something like his best in the win over Norwich last weekend. Jose Mourinho has given the Belgian star a little more license to roam behind the strikers in recent times, so expect to see him pushing up in support of Diego Costa whenever possible. The former Arsenal skipper scored some belters against Spurs during his first spell in the Premier League. While he plays a different kind of role at Chelsea and is yet to find the auld onion bag this term, we like the Spaniard as a romantic roughy with plenty of value. 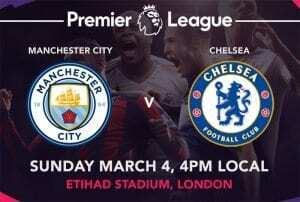 Who will score the first goal in Chelsea vs. Manchester City? Who are the best goal-scorer bets for Arsenal vs. Chelsea?